The "100th Meridian" is an important natural demarcation line where "the humid east meets the arid west". Therefore, you are now officially in the West, as proclaimed by the state of Nebraska on October 15, 1866. John J. Cozad was traveling west on the Union Pacific Railroad when he saw the "100th Meridian" sign. It impressed him as a favorable site for a town. Returning to Ohio, he organized a company of people which he brought to this location and founded the town named after him. Mr. Cozad negotiated with the Union Pacific and purchased about 40,000 acres of land. He brought his first colony in 1873. 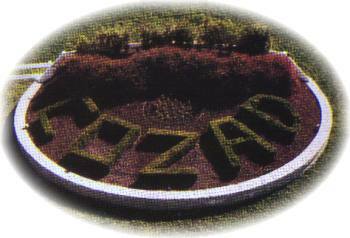 The town was incorporated in 1873 and named Cozad in his honor. Cozad is a wonderful community located in the middle of the fertile Platte River Valley. Agriculture, of course, is the main industry, however, there is other industry in the area as well. Cozad is proud of their Henri Museum and Historical Walkway, which features mementos from the boyhood home of world famous artist Robert Henri (pronounced Hen-rye). He was born Robert Henry Cozad, and was the son of the town's founder, John J. Cozad. Robert loved to draw. He changed his named to Robert Henri and pursued an art career. His paintings are hanging in major galleries all over the world. The town of Cozad has turned the hotel Mr. Cozad built (and where the family lived) into a Museum. It features mementos from Robert Henri and the Cozad family. The heir to the Henri estate, Janet LeClair from New York, has become extremely interested in the museum and has donated several items including and original of Henri's as well as a number of prints. The Historical Walkway includes an original Pony Express Station, an Antique Church, and a 100-year-old Country School. Thousands of visitors have already enjoyed this stroll through history. The downtown retailers and restaurants offer great selection and wonderful one on one service you can't get in big cities. From flower shops to computer and gift shops to hardware stores to Alco Discount Store to Motels, Cozad offers it all. 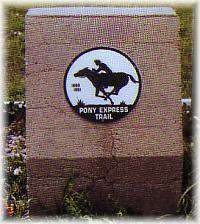 Three major pioneer trails, the Oregon, the Mormon, and the Chisholm, as well as the Pony Express went through the Cozad area. This one room country school was built around the year 1880, on a site nine miles north and west of the City of Cozad on land owned at that time by David Adle and Christiana Frost Adle. This school was called "The Adle School" because it was on Adle land, although it should have been called "
The Henri Museum and Historical Walkway features mementos from the boyhood home of world famous artist Robert Henri, including original art and sketches.